Oh my God Chocolate Fondue it's delicious, I really enjoyed to prove chocolate with almost every type of fruits and ice cream. 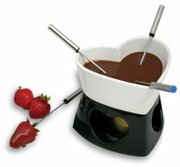 In fact my birthday is on Wednesday and I want to make a special dinner with chocolate fondue as a dessert. L'amore è un sentimento intenso e profondo, di affetto, simpatia ed adesione, rivolto verso una persona, un animale, un oggetto, o verso un concetto, un ideale. Love the instructions for spearing without drips! Excellent advice! 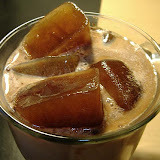 Tomorrow is my birthday, I am kinda hoping there will be chocolate included in my gifts. My treat jar is empty. 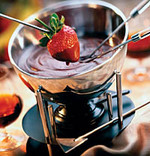 The chocolate fondue fountain looks so elegant, and of course yummy.